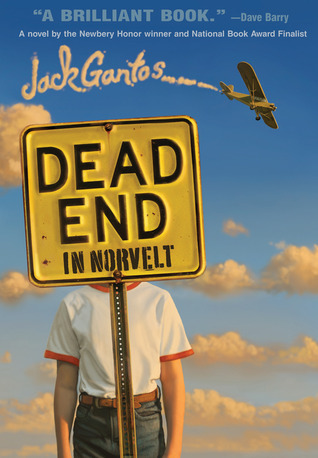 139 pages telling delightfully evil tale of a boy who gets everything he wants – or does he? Once Alexander had that idea, nothing could stand in his way. He went to all the doctors. He went to all the scientists. He went to the Head Executive Vice President for Baddenfield Pharmaceuticals (BaddPharm for short) to get what he wanted. The researchers there didn’t seem to have any ideas either. The name cracked the silence of the room like a put of potato chips in a library. Everyone turned to look at who had said it, a low-level intern in the fungus department. “Oh,” said the man sheepishly and shrank down in his chair. But Dr. Graft is just the person Alexander needs. He gets his transplant, but without a change in his reckless, selfish ways will that been enough? 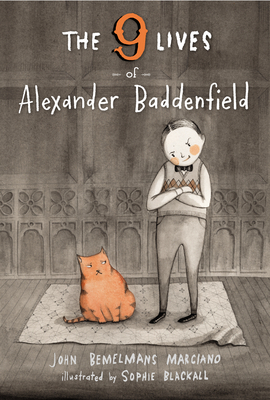 You’ll have to read The 9 LIVES of Alexander Baddenfield to find out. 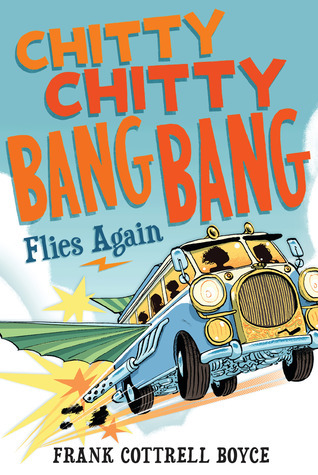 I am looking for new chapter read alouds for the beginning of the year. 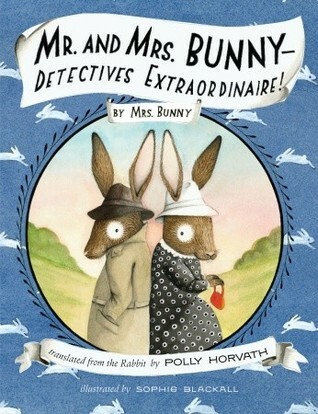 I am searching for a book we can read in a week. 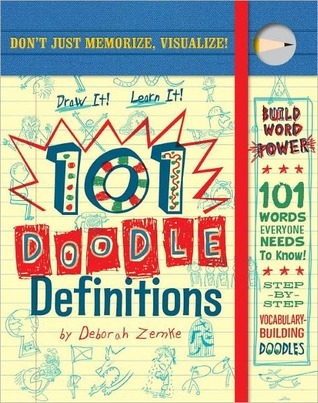 I am looking for a book that will remind my newly minted third graders of the joys of reading and of what they can do. I know some of them have read off and on over the summer and some of them have not. I grew up in a lake town. All winter long we skated and went sledding. When May came, we waited for the ice to go out. We waited for the first few warm days and then we’d ride to the town wharf for the first icy plunge. I remember standing there toes curled over the edge, arm arched above my head readying myself for the first deep dive – a little question niggling at the back of my mind, “after all the days, all these months, will I remember how…” Push. Splash. Gasp. Yes! 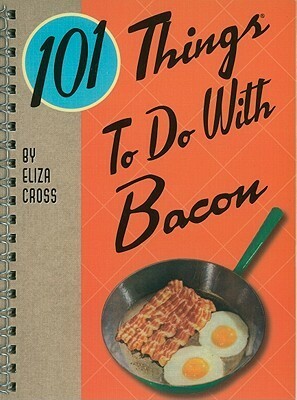 I am looking for the perfect book to dive in together. We’ll go deep and swim back to the surface with the exhilarated feeling of our new reading year begun. 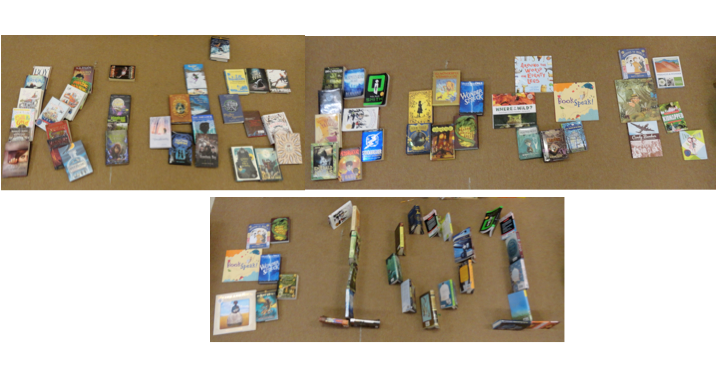 The books should be fun, full adventure, conjure questions and beg us to explore. They should be new to most, if not all, of the readers in our class. And they should open the door to the world of reading for all. 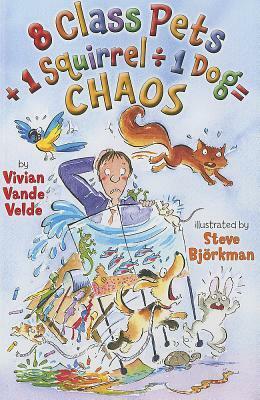 So far I am considering 8 Class Pets +1 Squirrel÷1Dog=CHAOS by Vivian Vande Velde. In it Twitch, the squirrel, lives outside a school. He begins the story by explaining how much fun he has on the jungle gyms people leave in their yards for him often centered around a snack bar. While he’s telling about this new “spinney disc” he loses track of time. He stays out too late and gets chased away by a swooping owl. To escape the owl, Twitch unfortunately scampers across a dog’s nose. The dog takes up the chase. Twitch is desperate to escape he runs into the first place he finds – the open door of the neighboring school. The dog runs in too, just as the custodian puts the ladder away, shuts the door and leaves for the night. Twitch and the dog are locked in and the chase is still on. The classroom pets of the schoolrooms where the action is taking place, tells how the chase is progressing in each chapter – there are eight. 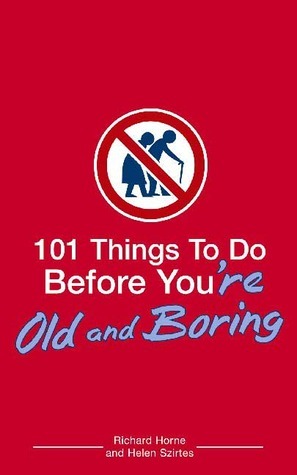 It’s really great fun – and both nothing you and imagine, and everything you can predict at the same time. The class will be laughing and shaking their heads in surprise as we reach the end. That’s why I think that might be a good choice. 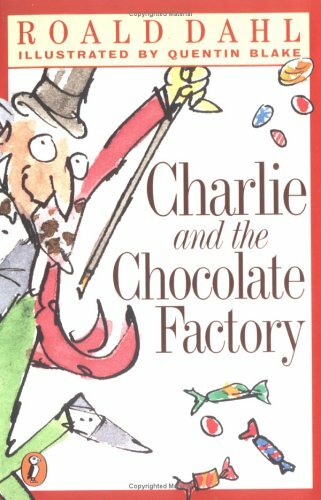 From there I could choose Marty McGuire or White Fur Flying and then I bet we’ll be ready to sink our teeth into a more complex read aloud that really gets us thinking – The Whizz Pop Chocolate Shop, The Vengekeep Prophecies, The Golden Door… What would you suggest? 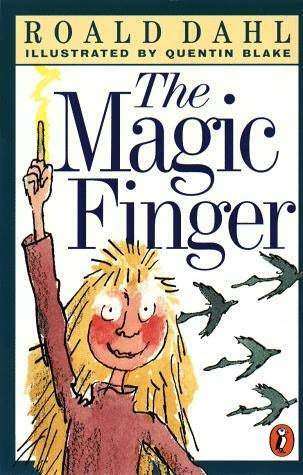 What read aloud do you remember most? If you could have your weakness upgraded and turned into a super power, what strength do you think you would have? 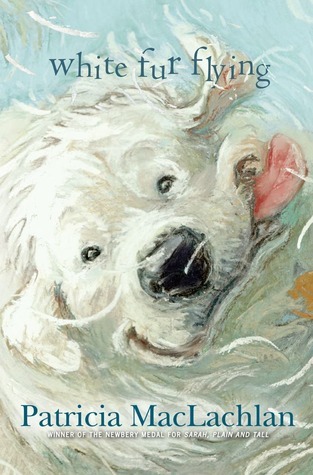 I read the first as summer vacation started and just finished M is for Mama’s Boy, the second this week. The third and fourth are sitting in one of my to-be-read piles. I’ll get to them soon. 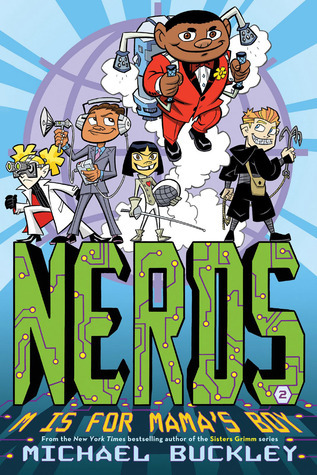 The NERDS are school-aged secret agents who save the world. Selected for the team because of their unique qualities, these perceived weaknesses have been highlighted and upgraded with nanotechnology to create super skills. 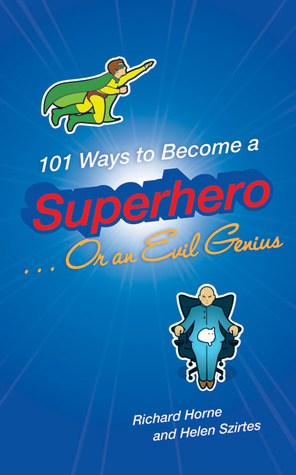 Together the team has the resources and abilities to save the world from every and any super villain. The villain in this case is Simon. He has reappeared with squirrel squadron to do his bidding – along with one Goon. When the robberies begin happening there is no sense of urgency. Just another bad guy to be stopped, but Albert Nesbitt notices something odd. He spends his time locked in the basement of his mother’s house watching TV, building computers, reading graphic novels and dreaming of becoming a super hero. Albert dreams of doing good in the world and of becoming Captain Justice. Somehow his dream is twisted around and he becomes entangled with Simon, the evil genius bent on humiliating the NERDS and taking over the world by controlling every computer on Earth. In disabling Earth’s computers, Simon also disables the super power upgrades of the NERDS. That’s especially challenging for Duncan, a.k.a. Gluestick. Always a thoughtful, kind person, Duncan isn’t sure he has any worth without his special powers or his gadgets and gizmos. Duncan loses confidence. He’s sure he can’t do anything. He can’t fit in even when he is trying to be “normal.” But, he realizes he also can’t sit around and see his family threatened or let his friends face life-threatening danger alone. Can “ordinary “save the world? Maybe. You’ll have to read M is for Mama’s Boy to find out. Clover settles into life at the cottage easily. She gets used to the strange things going on around her and she learns there are witches who use magic for good and witches who use magic for ill. Mrs. Eckles is an ethical witch. She uses her magic when necessary and she accepts her responsibility for keeping the magic content. She cares for the cottage and makes sure it’s pleased with its place. Her sister, Mesmeranza, is just the opposite sort of witch. She wants everything and she wants it all for herself no matter what or who is hurt. In fact she doesn’t care about that at all, she just wants everything. 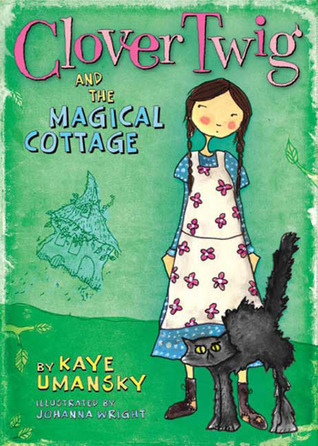 When Mrs. Eckles plans to go to the May Fayre and leave the cottage in Clover’s care, Mezmeranza launches her plan. It has one flaw – Mezmeranza doesn’t know about Clover. She thinks Wilf is going to be at the cottage so she has misdirected her energies there. 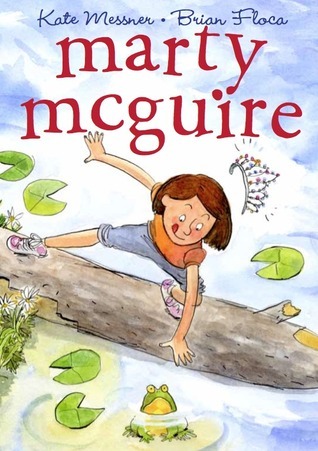 Clover Twig is undisturbed by the unusual happenings surrounding the magical things she finds herself confronted with. She isn’t scared or cowed and Mesmeranza doesn’t expect that. Clover is a force to be reckoned with – even if much happens by accident – which sends Mesmeranza into a fury. 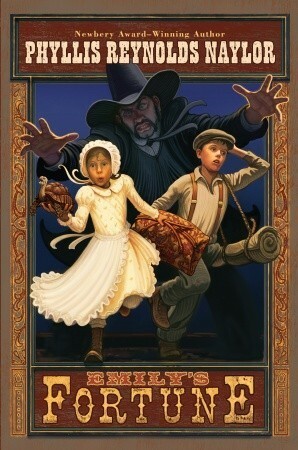 You’ll smile at the outrageous shoes, allergies and antics that surround those who live at Castle Coldiron. You’ll appreciate how those from the Magical Cottage takes things in stride and are satisfied by who they are and what they do – flaws and all. Clover Twig is a great friend, loving sister and loyal employee, plus she knows what is right and just. It all works out in the end but it takes a lot of effort, ingenuity and cleaning. Mesmeranza doesn’t get her way and she is not happy! She has a new plan and this time it is directed straight at Clover. 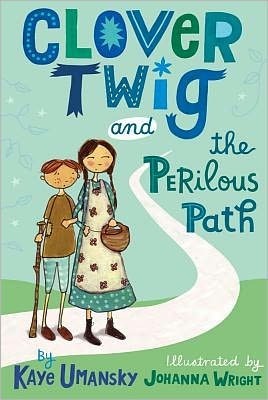 Read Clover Twig and the Perilous Path to see how the second tale unfolds. Magic is challenging but those who are true at heart come through unscathed in the end.